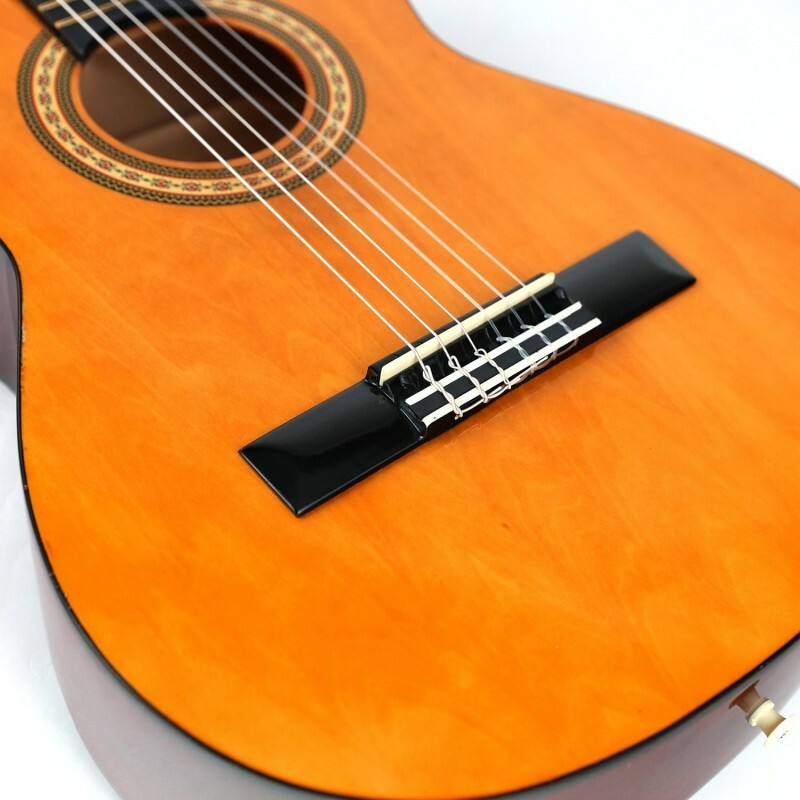 SMOOTH TUNING PEGS：The nails of this beginner guitar are very smooth and well made. The chrome-gear tuning head can be easily adjusted to maintain the volume of the guitar. Smooth tuning pins help people who want to train and learn acoustic guitars. 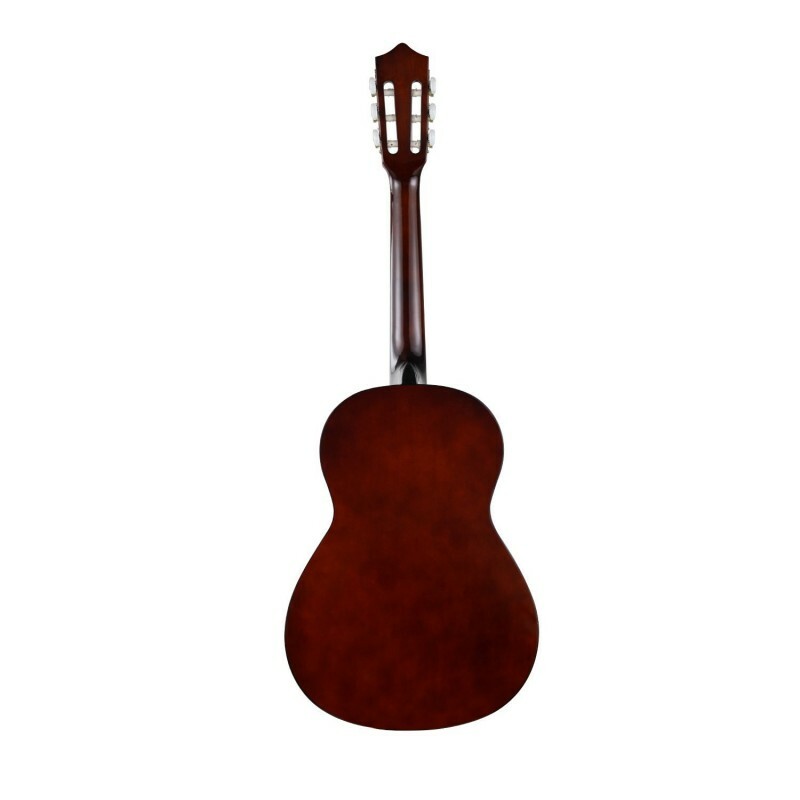 SOLID BASSWOOD TOP BACK SIDES：Strong Wind 39-inch guitar features a lining lining tree top and a sturdy, full-size, fearless body with smooth curves for added comfort during performance. These solid eucalyptus produce a smooth, rich, full and vibrant sound that is perfect for rock, folk, country and more. 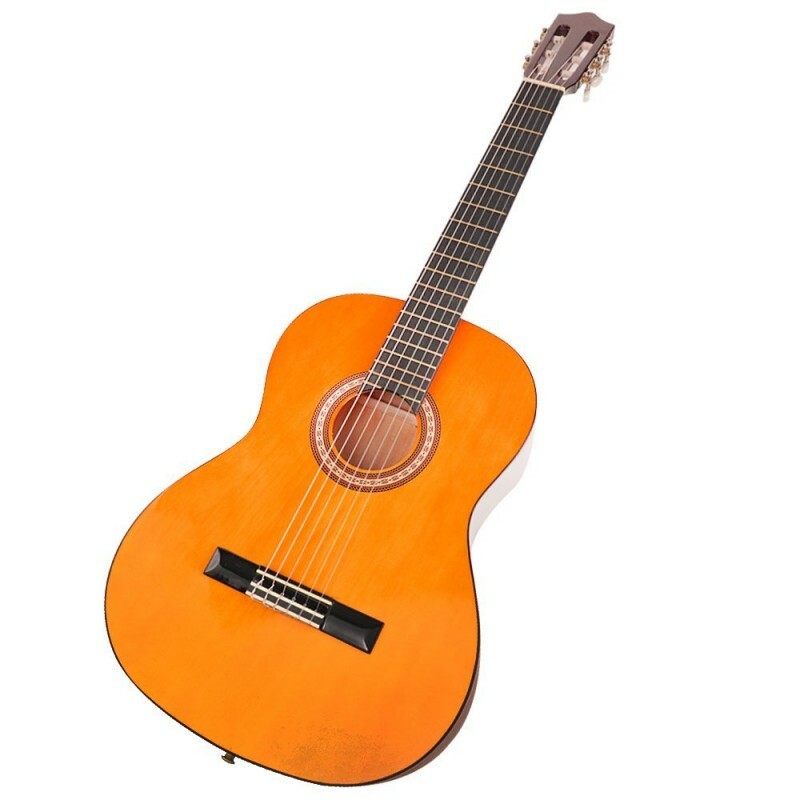 4/4 size full-size acoustic guitar: This 4/4 nylon string guitar is suitable for people over 11 years old and adults. It looks great. Easy to play for beginners or experienced players. When learning to play the guitar, you can easily change the sound. Easy to play, it is an ideal beginner's instrument for students, children, boys, girls and adults. TUNER is easy to adjust: nylon strings may stretch at the beginning, so when you play for the first time, please adjust every 5 minutes. Then it will remain as it is. The electric clip-on electronic tuner is easy to operate and helps you easily adjust the guitar. Clip the guitar to the head of the guitar and it will adjust the beauty quickly. I keep learning to play guitar after I like to play guitar. 1 year warranty: We offer 1 year warranty and lifetime service. This guitar starter kit comes with everything you need to start playing the guitar, including a guitar clip tuner, a sturdy performance bag, two paddles for sweeping the strings, and extra nylon strings for replacement when needed. A cleaning cloth is included. 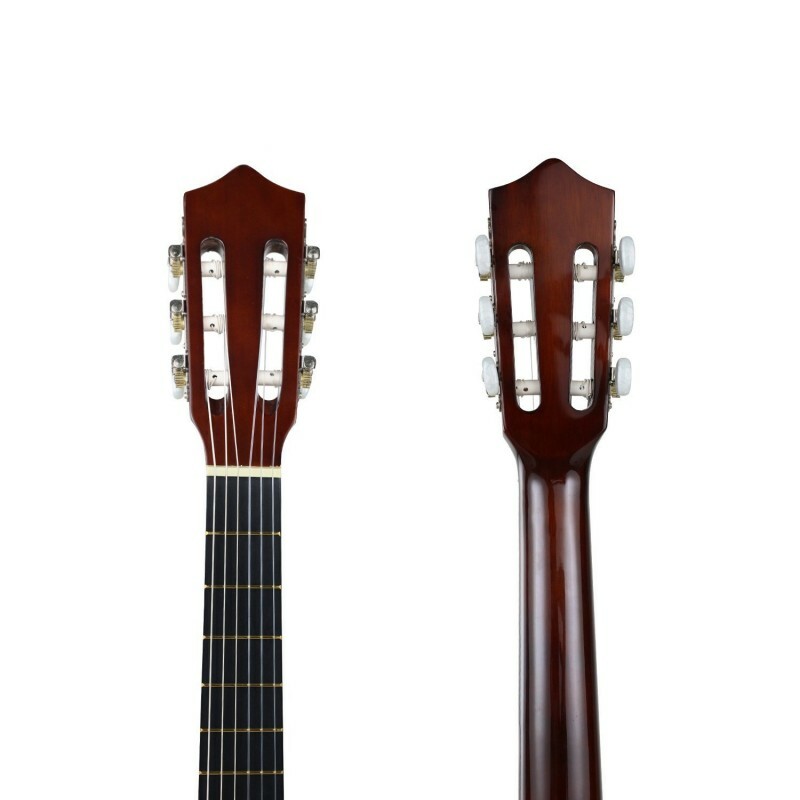 *The neck of the classical guitar merges with the body of the guitar at the 13th fret. You should tune your guitar every single time you pick it up. Guitars tend to go out of tune quickly. Make sure your guitar is in tune when you begin to play it, and check the tuning frequently while you're practicing, as the act of playing the guitar can cause it to go out of tune. 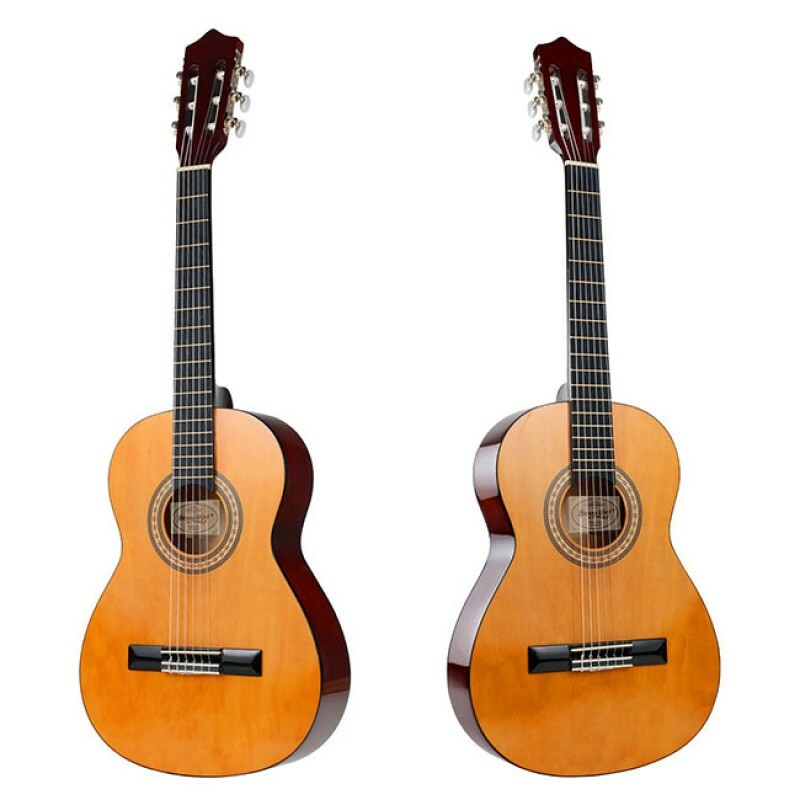 WHAT'S THE DIFFERENCES BETWEEN NYLON STRINGS AND STEEL STRINGS? 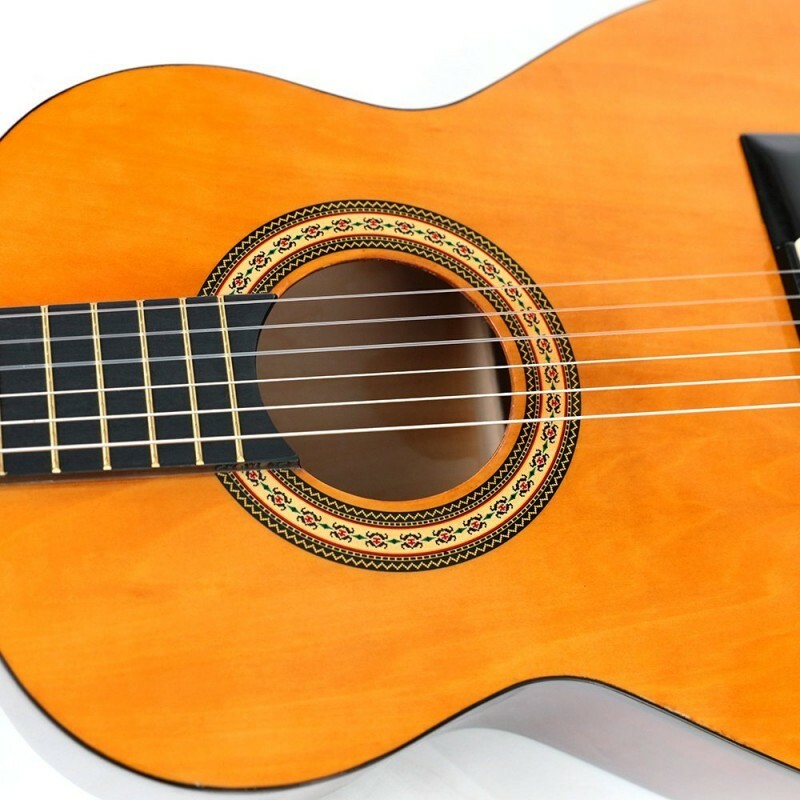 Nylon string, or classical guitars, are traditionally used for classical music, folk or any other style of music. Steel string guitars are used for rock, country and many other styles of music. 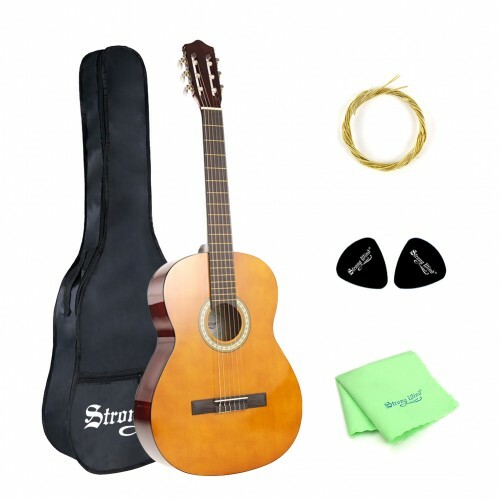 It is highly recommended to buy this guitar set and enjoy playing it !